This pair of Pants for the Junior Chef is perfect for that special kid who has the talent and love for the kitchen. 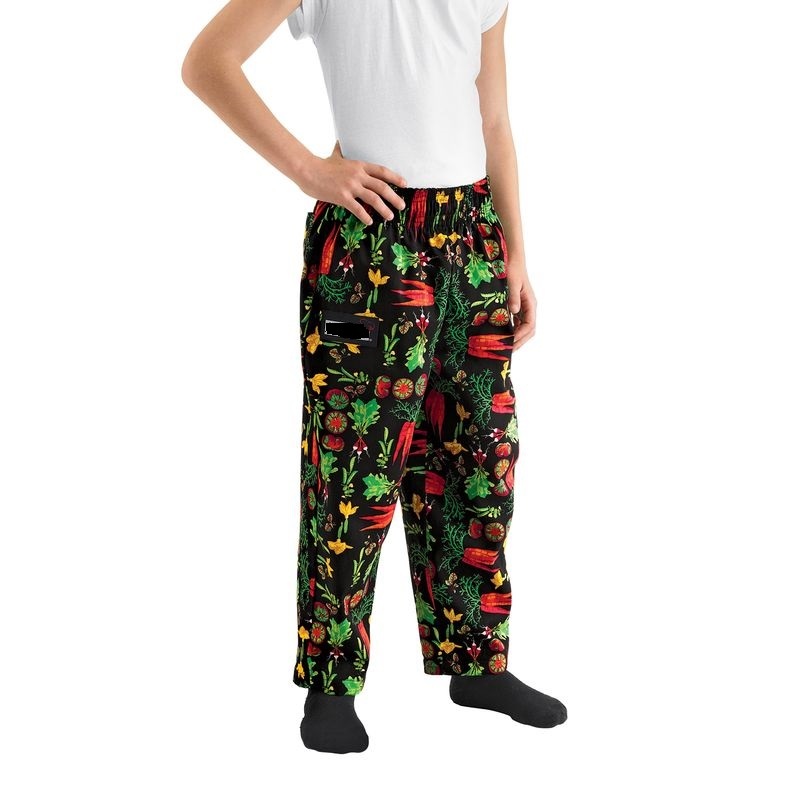 All the good condiments he/she would need to come up with a tasty dish are ripe for the picking on these adorable pants. Great for that special unique birthday present, or just because.